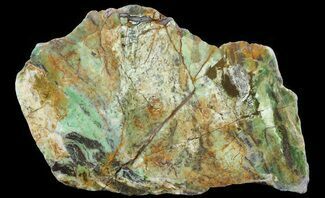 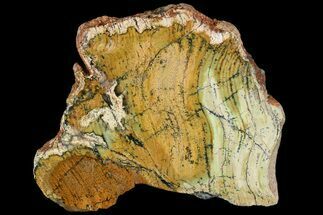 This is a large, 9" tall, polished section of chrome chalcedony mined near the town of Newman in the Pilbara Region of Western Australia. 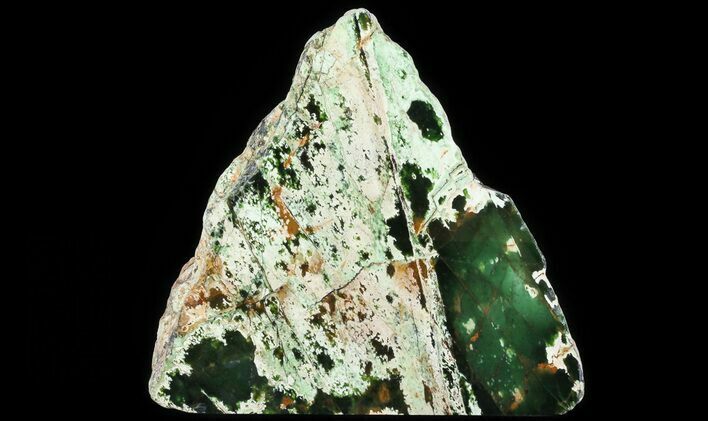 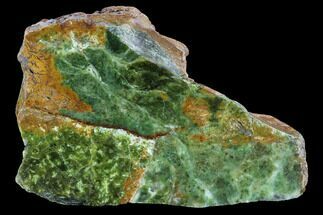 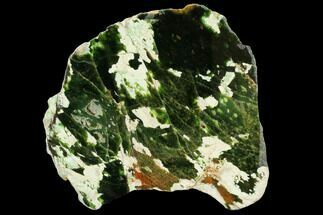 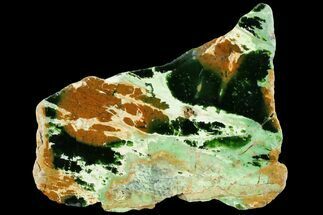 The presence of chromium gives it the unique, green coloration. 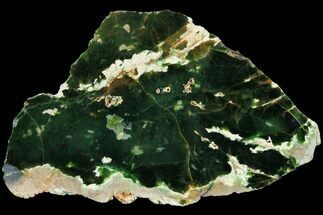 One side has been polished to a mirror like finish and the base has been cut flat, making for an outstanding, decorative piece.